There was a time not too long ago (just over a couple of decades ago), when the choice of books available was limited, especially for children. There were the ubiquitous Amar Chitra Katha books, and books by Enid Blyton, that any reader worth their salt just had to read. There were the Indian authors like R.K.Narayan, C. Rajagopalachari, and Ruskin Bond, whose writing had the flavour of the subcontinent, and were much sought after by the rare relative who did give books as gifts. And then there were the poorly produced editions of the classics that were still better than having no books at all. How does one pick out the stellar ones? The ones your children are sure to enjoy, and have happy memories of? There are some rules of the thumb that I follow, which lead me unerringly to the gems. Firstly, be part of a group or follow a website that will give you plenty of great suggestions. 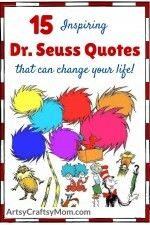 For example, Reading Raccoons, Saffron Tree, Goodbooks, Young India Books, etc. There will be many online. 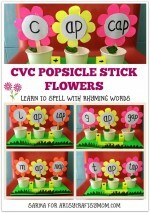 Check these out with fellow moms who may know their books. Ask librarians or Indie bookshop owners. Certain publishers publish quality material. 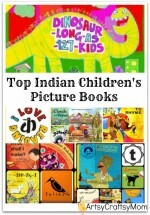 Puffin, Scholastic, Yearling, Random House, Duckbill, Tulika, Tara, Katha, Pratham Books, Ekalavya, Young Zubaan, Tamarind Books, Inked, Red Turtle, HarperCollins, Hachette, Ladybird Books, Walker Books, Candlewick Press, Orchard Books, Barefoot Books, Bloomsbury, Miles Kelly Publishing, Usborne Books, Mapin, Dorley Kindersley (DK) books, Simon & Schuster, Faber, Lee & Low – these are some of the good publishers around. While browsing in shops/libraries, pick up in your hand a book that seems interesting. Look for paper quality, attention to a good font, spacing, etc. These matter to publishers of quality material. Avoid books that have pictures that look computer generated – good books usually have illustrations done by hand, in any medium. Blurb is the short write-up at the back of the book, or on the inside of a book jacket if there is. See if it is something you are looking for, if it resonates with you. Trust your gut feeling on this – you’ll get better at it over time. The same criteria listed above can certainly be applied to buying online. Read the blurb describing the book. Use the Look Inside or Read Sample option to check out the feel of the layout, the font, the illustrations, the flow of the text, whether it engages you, etc., just like you would with a physical copy. Check out the book details at the bottom of the page – the size, page count, author, illustrator, publisher, etc. Check to see if it is an original edition – please do not buy pirated books. This hurts the publishing industry, and as a result, the quality of books published. Do pick up books on the whopping discounts that online shopping gives, but do go to independent book shops and browse and buy too! It might not always be possible to check out the books and buy them from actual bookstores, more so, as not many stores stock good books anymore – if there is one in your neighbourhood, make the most of it and become a valued patron. Don’t forget to look for positive book reviews on reader driven sites like Goodreads, Shelfari, Librarything, etc, and make your choice. Your child’s friends will often share many of the same interests, and may possibly enjoy many of the same books. Get your kids to ask their friends what they’re reading and enjoying, not only for some great recommendations, but it could also stir up some great conversations about their books. 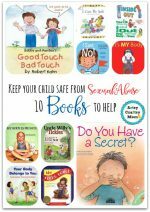 Choose books that mimic events in your child’s life. 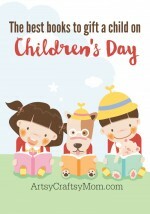 Children love reading books they can relate to. For example, if a new sibling is on the way, check out a book or two about welcoming home a baby. 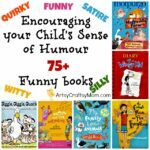 There are books that will help you broach a sensitive topic like Sexual Abuse and some that will tickle your funny bone . All these factors usually do not fail you in picking up good books whether its for your child or for yourself. Happy book shopping! Do you have more tips for us? What works for you? What didn’t? Don’t forget to leave your comments below.